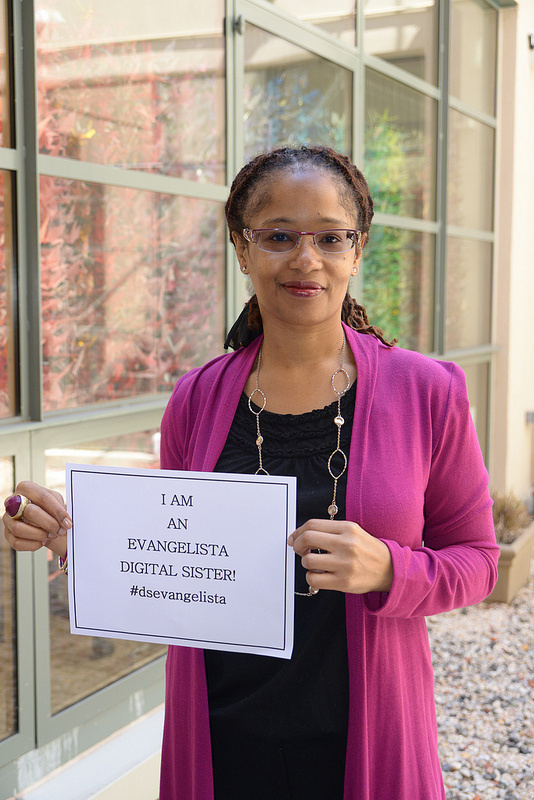 Happy July and Happy Digital Citizenship Month Digital Sisters! This month Digital Sisterhood Network (DSN) is celebrating Digital Citizenship Month and the theme, “Using Your Digital Citizenship to Give Back.” How are you using your digitial citizenship to give back? Today’s blog invites you to explore who you are as an Evangelista. Check out the Evangelista Profile below. It is an excerpt from Ananda Leeke’s new book, Digital Sisterhood: A Memoir of Fierce Living Online. An Evangelista is a woman who supports and advocates a philosophy, a values system, a lifestyle, a cause, or a campaign that improves her life and others’ lives. 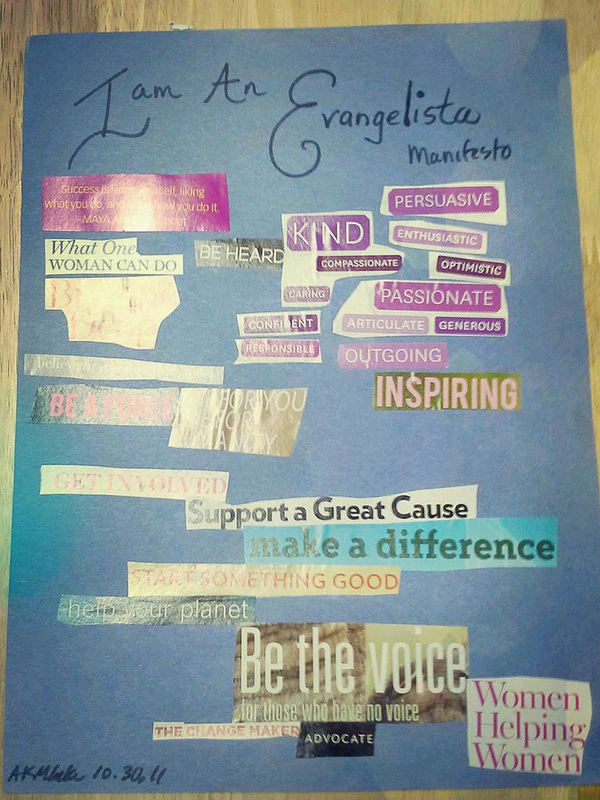 If you identify with one or more of the Evangelista’s characteristics, please check out the Evangelista Manifesto collage below. Consider making one to jumpstart your writing process. All you need are some of your favorite magazines, construction or poster board paper, scissors, and glue sticks. Look for words, phrases, and images that represent your definition of an Evangelista. Paste them on to your paper. If you need to write some of your words and phrases, use magic markers, crayons, or pens. After you finish the collage, give yourself a few days to look at it. Record any thoughts you have while looking at it. Use them as writing prompts for your Manifesto. Feel free to use the one contained below as a sample or adopt it as your own. I am a woman who believes I can be heard, persuasive, enthusiastic, optimistic, passionate, articulate, generous, outgoing, and inspiring when I pursue what matters most. That’s when I am a force. One for others. One for humanity. I am a voice for those who have no voice. The change maker. The advocate involved in supporting a great cause. A woman making a difference. A woman starting something good and helping the planet. A woman making the world a better place for all. Sacral, or second chakra, which corresponds to creativity, pleasure, sexuality, and well-being. It governs the bladder, circulatory system, and sexual and reproductive organs. Solar plexus, or third chakra, which corresponds to willpower, persistence, self-worth, self-confidence, and self-esteem. It governs the stomach, small intestine, liver, gallbladder, and spleen. Heart, or fourth chakra, which corresponds to love, joy, harmony, and inner peace. It governs the heart, chest, lungs, and circulation). Wear or surround yourself with the colors orange (second chakra), yellow (third chakra), and green or pink (fourth chakra) to connect with Evangelista’s energy. Wear or surround yourself with amber or carnelian (second chakra), citrine or tiger’s eye (third chakra), and aventurine or rose quartz (fourth chakra) gemstones to connect with Evangelista’s energy. Evangelista is connected to the goddesses mentioned below. Practicing bound angle, downward facing dog, triangle, and wide angle poses (second chakra); bow, boat, warrior one, warrior two, warrior three, sun salutation, and all twisting poses (third chakra); and camel, cat, cobra, fish, sphinx, upward facing dog, and upward facing bow poses (fourth chakra) can help you connect with Evangelista’s energy. 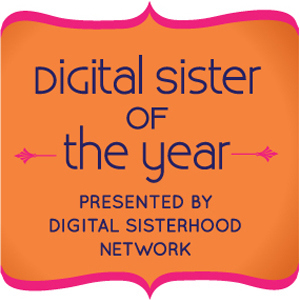 During Digital Sisterhood Month 2012 and 2013, the women listed below were named Evangelista Digital Sisters of the Year. Take a few minutes to learn about them. They are great Evangelista virtual mentors. 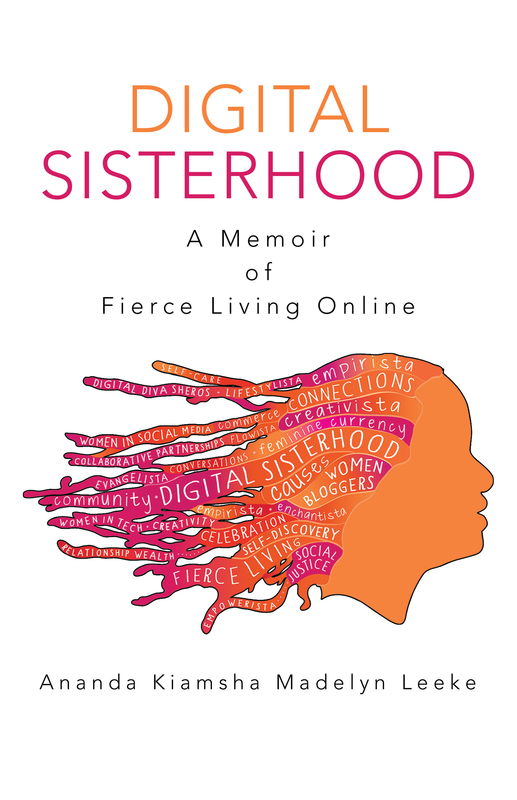 Digital Sisterhood Network founder Ananda Leeke’s new book, Digital Sisterhood: A Memoir of Fierce Living Online (available on Amazon for Kindle and as a paperback) includes a list of the 2010, 2011, and 2012 Digital Sisters of the Year. It also features an appendix that helps you explore and identify your own Digital Sisterhood Leadership Archetypes. The interactive exercises encourage you to journal your thoughts in the book’s notes section.